How do illegal drugs affect your driving? Home › Advice › How do illegal drugs affect your driving? The three main types of drugs are those derived from hallucinogens, stimulants and depressants. All have a negative effect on your driving ability. This quick guide will tell you the effects of common illegal drugs on your driving ability. Be aware that synthetic drugs will also have some effect. Examples of hallucinogens include LSD, magic mushrooms, PCP and ketamine and, to a lesser extent, ecstasy and cannabis. They distort your perception of reality which means you could see things that are not there, or not see things that are there, both of which are a recipe for disaster when driving. The actual effects of LSD on the brain aren’t well-known but it’s thought that it causes certain chemicals to be over-produced making the brain confused and over-stimulated. It inhibits the ability of serotonin to mediate responses to pain and stimulation, plus increases the production of glutamate (a neurotransmitter) that speeds up the transfer of signals across the brain, leading to sensory overload and confusion. Panic attacks are common. As you are coming down you may fall asleep at the wheel. Cocaine use results in poor decision-making, aggressive and impulsive behaviour and an altered state of perception and awareness. Users may report blackout periods. Heavy users may experience a narrowing in the blood vessels which can result in a stroke or blindness. Cocaine will mask fatigue exceptionally well, but higher doses actually reduce your ability to concentrate. 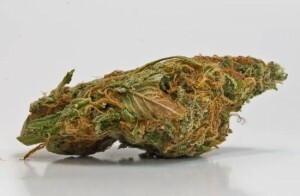 A study of over 3,000 fatally injured drivers in Australia showed that when THC (the active ingredient in marijuana) was present in the blood of the driver, he or she was much more likely to be at fault for the accident. Additionally, the higher the THC concentration, the more likely the driver was to be culpable. Cannabis, which is used commonly in New Zealand, can affect your attention span and reaction times, and give you involuntary reactions and muscle movements. Users will experience difficulty in perceiving time and distance which makes it much more difficult to read signs, judge speed, judge your position on the road, and avoid distractions. It reduces your eye-tracking abilities, gives you poor spatial awareness and increases your likelihood of having an accident by almost twice. Cannabis can also increase your sensory awareness causing over-reaction, anxiety and panic attacks. You may even experience prolonged issues with memory loss. You might feel like you are more relaxed, but behind the scenes your body is struggling. Opiates cause drowsiness, visual impairment and mental confusion even at low doses. Your reaction times will be dulled and you might find it difficult to keep the vehicle in the lane. There’s a risk you could fall asleep, and your ability to concentrate is reduced, too. You might inadvertently mix drugs by taking another drug when a previous one hasn’t been completely eliminated from your body. A potential example would be getting drunk, then taking cocaine. The cocaine binds with the alcohol and remains in your body for a much longer period of time than they would separately. Or you might deliberately mix drugs to achieve a certain desired effect. Your ability to function will depend on your physiology: size, weight, health, whether you are used to taking that drug, and how much of the drug you take. There are no safe levels of drug use. All intake of drugs will affect your ability to drive. If you want to use drugs, take a taxi or ask a friend to drive you. If you are being prescribed any drugs, tell your doctor if you also take illegal ones so that the combination effects can be minimised.